Enable Call Forwarding automatically while your Gear S is disconnected from your mobile device. This will forward incoming calls from your mobile device to your Gear S until the devices are connected. 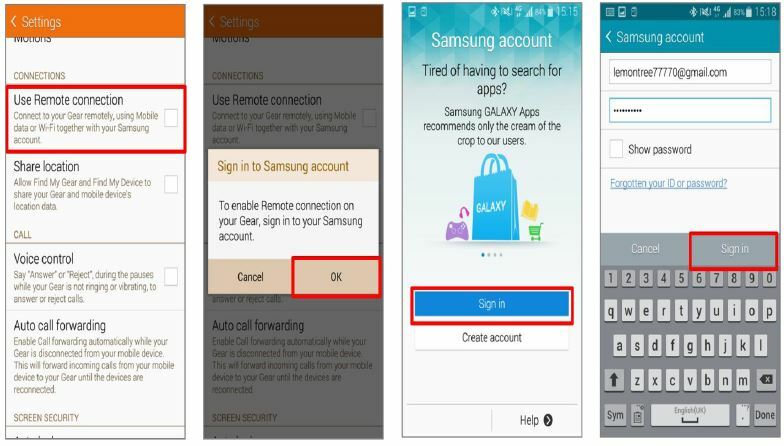 To activate Auto Call Forwarding feature automatically, Samsung account should be signed in and Remote Connection feature is enabled on your device since your Gear mut be connected to your mobilie device remotely using Mobile data or WiFi together with your Samsung account via Remote connection feature. Note: Auto Call Forwarding feature is applicable for customers using GSM mobile. There are 2 methods to use Auto Call Forwarding Feature. 4. 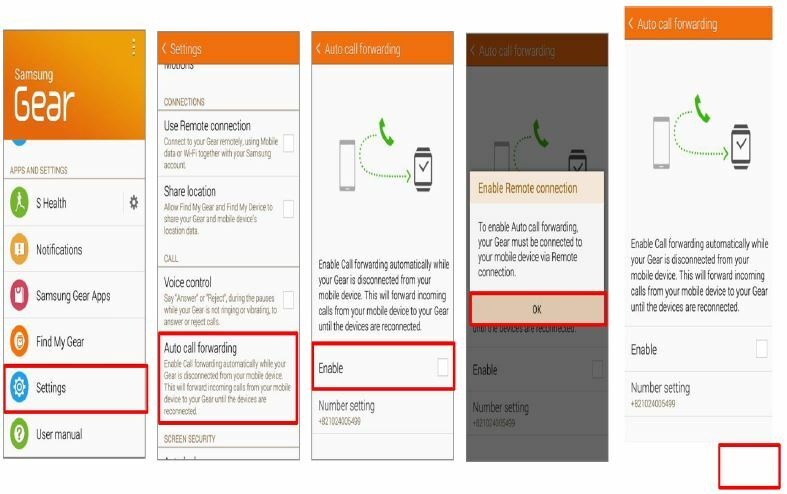 To enable Auto call forwarding, Gear S must be connected to Mobile Device via Remote connection. IF you did not enable the Remote connection feature, the pop-up window about Remote connection appears. 5. Tap back button to go to set Remote Connection. 6. Tap Use Remote Connection. By Remote connection feature, your Gear is connectedto your mobile device remotely, using mobile data or wifi together with your Samsung account. 7. To enable Remote connection on Gear S, you should sign in to your Samsung account. If you did not sign in to Samsung account, the pop-up window for signing in to Samsung account appears. Tap OK.
8. If you already have a Samsung account, tap Sign in. 9. Enter your Samsung account information and then tap Sign in. 10. 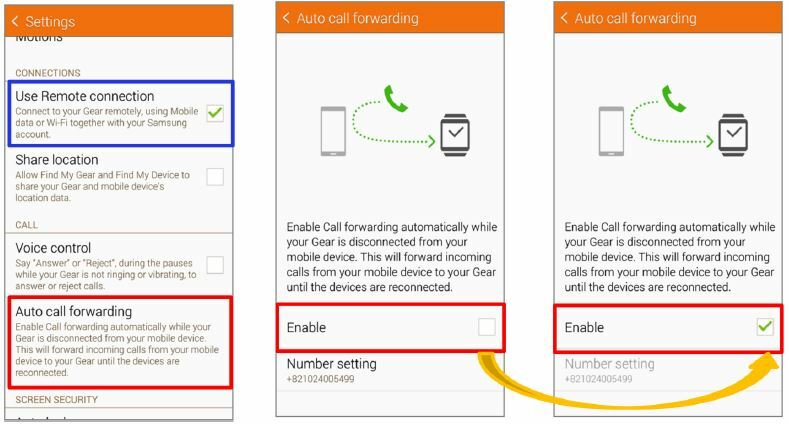 If Samsung account is signed in and Remote connection is enabled, you can enable the Auto call forwarding feature. Tap Enable. 11. Tick Enable check box.